Earthlings enjoy a stress-free year! 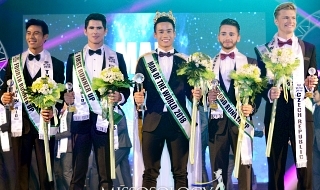 Earthlings are probably the biggest winners of Miss Earth 2018! Aside from a beautiful winner and superb production, earthlings will enjoy a stress-free year! Congratulations earthlings! You deserve it! Re: Earthlings enjoy a stress-free year! Lord Marie_Juana wrote: Earthlings are probably the biggest winners of Miss Earth 2018! Aside from a beautiful winner and superb production, earthlings will enjoy a stress-free year! It feels like I am beachbumming while looking at crystal clear water of Boracay or El Nido.. I wouldn't bet on it. 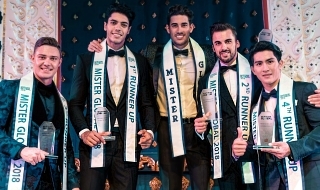 With Indonesians being more passionate about MGI than Thais (considering its not even their own pageant), expect lots of hate from them. This time I am ready to defend (unlike last year where I just gave up lol). Why are Indonesians like that? blunderer wrote: I wouldn't bet on it. With Indonesians being more passionate about MGI than Thais (considering its not even their own pageant), expect lots of hate from them. This time I am ready to defend (unlike last year where I just gave up lol). Why would we be stressed with those Indogs (I’m referring to those who are assuming and hypocrite fans, not to all Indonesians). Are they relevant? All I know is that they are hypocrite. They say they do not follow ME but when Ratu did not place, they wreaked havoc! And they are the same forumers and people who are actually bashing ElJohn pageants and says nasty thing about the pageant! (But as you all know, I badly want Ratu to place). Whew! Sarap sa pakiramdam ‘no Kap? bakit nawawala si nguyen nung Manalo si Vietnam...nasaan na kaya siya???? simonsy wrote: bakit nawawala si nguyen nung Manalo si Vietnam...nasaan na kaya siya???? andun siya sa official thread ni queen ponkan. Kumusta naman ang mga advocates ng giyera? It's been a long time since I posted here once again. i just want to say that I love the ME 2018 production and I just love everything haha, definitely better than MGI. Though I was expecting Mexico to win but Vietnam is very charming that might have made her win the crown. Congrats! 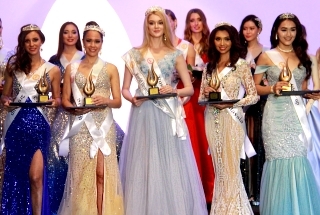 7 Crowns in 5 years; 2 Miss International, 2 Miss Earth, 1 Miss Universe, 1 Miss World and 1 Miss Supranational.